Fixing bad posture is very important for the long-term health of your body. Apart from bad posture looking terrible, it is also detrimental to your health over the long term. It is easy to spot ballet dancers, they are the ones with the elegant and perfect postures, long necks, straight spines, beautifully positioned heads and they seem to radiate poise and confidence. They almost look as if they are floating and have a slightly elevated position above most mere mortals. Not only do ballet dancers look great, but their great posture and alignment make them look comfortable, strong, efficient and a whole lot healthier. Why Should You Think About Fixing Bad Posture? Having poor alignment and posture will eventually lead to other health and social issues. Self-confidence will be affected, because of things like your clothes that won’t hang properly or look right on you. People that slouch generally don’t look very confident in any case. Over time, your neck and shoulders, as well as your lower back will start to take strain, especially if your stomach and back muscles are not strong. Later if you are not careful, your feet, ankles and knees may be added to the equation. Arthritis and osteoporosis are also long term possibilities. How Can I Go About Fixing My Bad Posture? This is one way to go about fixing bad posture. Beautyko USA Orthopedic Posture Corrective Back Stretcher helps to fix your posture by realigning your spine. During the day, it is natural for people to hunch over their desks or hunch forward in their chairs. You can lay on this back stretcher to reverse the stretch in your back and relax all your muscles from the neck right down to the lower lumbar region. You can also put it on the back of your seat to help you to remember to sit up straight. This back stretcher can withstand weights of up to 250 pounds. Daily use of this corrective back stretcher is a great preventative tool and is also a great way to destress and soothe all the muscles in your shoulders and back. Postural and alignment issues that are formed early in life are difficult to correct, but it is possible to work on them. When you stand or sit, you need to aim for neutral alignment in the spine, which as they teach you in Pilates, is the best position for your spine to be in. If you lie on your back, you should feel a small hollow in the small of your back with your hips and shoulders aligned. This is called neutral. Do your arms hang evenly on both sides? Are your shoulders level with each other? Are your hips level with each other? Is your head centered and are your ears level with one another? Do your knee caps face forwards? Are your ankles level? They should roll neither inwards nor outwards. Now turn and view yourself from the side. In neutral your spine should assume a soft s-shape. Does your head extend naturally up from your spine, without poking forwards or pulling backwards? Are your shoulders in line with your ears? Is your tummy lifted and not poking outwards? Has your lower back got a gentle forward curve? It should neither be too arched or too flat. Your knees should be naturally straight, but not locked. The above points would constitute a perfect posture, which very few people have, but should aim to attain. Practice by standing against a wall with the back of your head and your buttocks touching the wall. Take your heels about three inches away from the wall. Use one hand to feel the distance between your lower back and the wall, and then your neck and the wall. Aim to have no more than two or three inches between your neck the wall and your lower back and the wall. This is how you need to practice standing in order to have the correct alignment of the spine. When you are seated, you can practice by making sure that your feet are on the floor in front of you and your knees are in a ninety-degree angle. The chair that you sit in should be straight backed. Place a small rolled-up towel between the curve of your lower back and the back of the chair to help you support your back. Now concentrate on feeling that same elongated position that you felt when you were standing against the wall. If you have serious posture and alignment issues, it is best to use the services of somebody who is trained in Alexander Technique, or find yourself a good Pilates instructor. Sometimes you will need extra help with fixing bad posture. I am in my forties now and coming into a certain age where posture is important to me. I have a long body and tend to find myself slouching over when sitting and walking too. I do have some lower back problems and to help me with this I like to lay on the flat ground lift up my kness then slowly roll side to side. Another thing I like to do that helps me with my posture is to remember to keep my back positioned properly when I find myself slouching. Yes stretching is great for the spine. You should try some Pilates as this is great for strengthening the core and making the spine more flexible. The exercise you mention is Pilates based. Many people have experienced pain relief because of Pilates. I’m glad I found your article about fixing bad posture. After driving a truck and operating heavy equipment for the last 20 years, to say the least my posture isn’t great. I like the idea of using the back stretcher you mentioned. Do you think it’s something I could use for a couple of hours per day while driving? Or only while laying on your back? I would buy a lower back support for your truck to use while you are driving. This one is meant to be used by laying on it, and it won’t stay still while you are driving. The ones you buy for a car seat have straps to attach it to your seat. 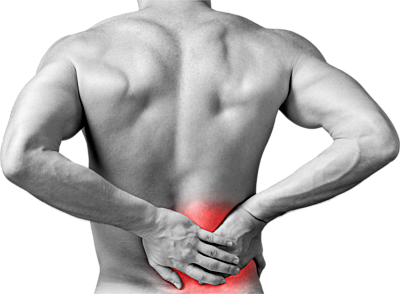 I have suffered from back pain throughout the years. I think it is because I sit all day and work a desk job. It looks like this will really work. Never have I seen this product until now. It will be for great use and I will give it a try! It’s funny, as I sit here typing this comment I can’t help but slouch over to see the screen. It takes a real conscious effort to try and keep a good posture so anything that helps me do it automatically is worth a look. I spend a lot of time at my desk so I have to take frequent breaks to stretch out, but if I forget, I get a bad kink in my neck. Are there any good ones made for driving? Thanks for stopping by Layne. Yes you do get back supports that you can fit on your car seat which help a lot to support your back while driving. This is especially useful for long distance. Should really help with that kink.